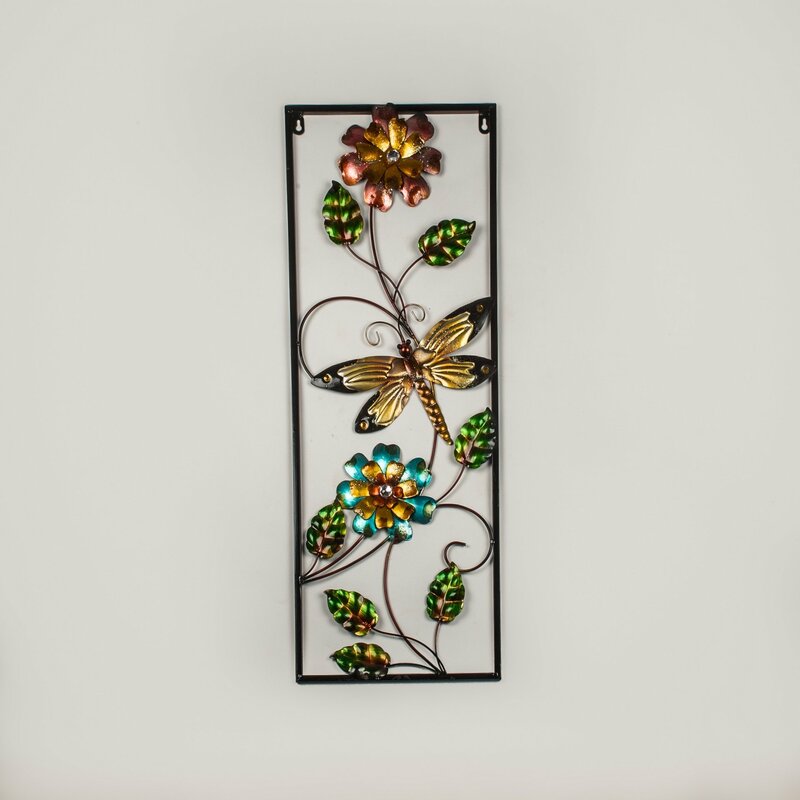 Enhance the beauty of any indoor or outdoor area with this lovely dragonfly and flower metal screen. Easy to mount by the two loops at the top, this metal wall sculpture features two three-dimensional flowers in tones of pink and blue, six metallic green leaves and a highly detailed white and brown butterfly. This colourful wall decoration has two flowers and a dragonfly framed by a black border. There is a little gem on the inside of each flower and the colourful leaves are attached to swirling stems. There are little rings at the top of the frame for hooks or for screwing onto the wall.